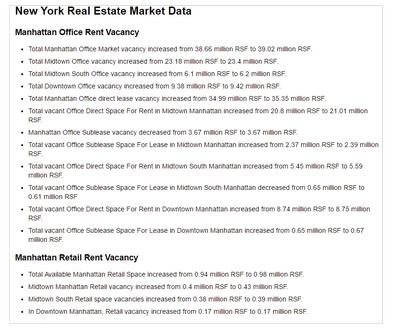 Total Available Manhattan Industrial Space increased from 0.06 million RSF to 0.16 million RSF. 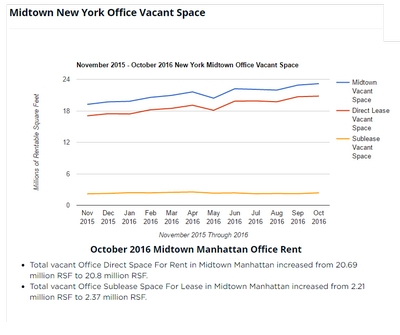 Midtown Manhattan Industrial vacancy stayed at 0.02 million RSF. 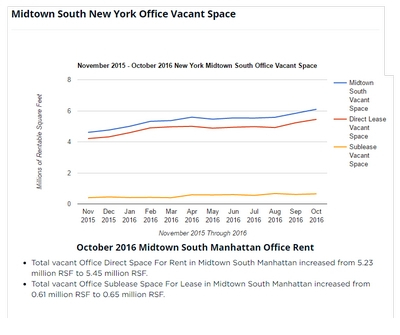 Midtown South Industrial space vacancies increased from 0.037 million RSF to 0.137 million RSF. 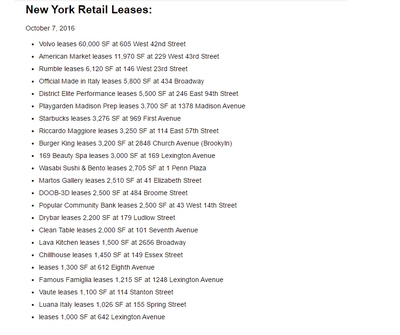 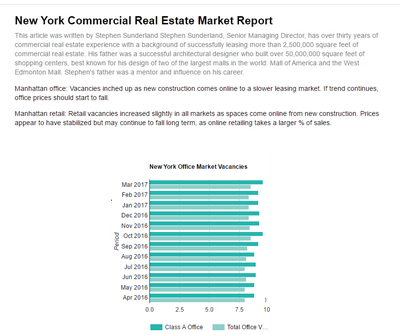 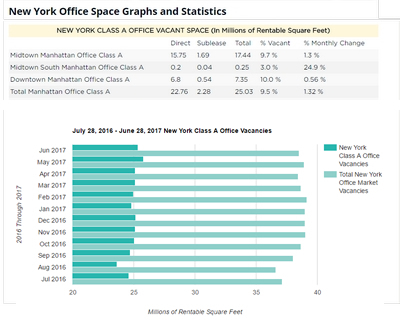 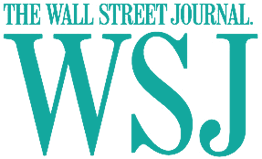 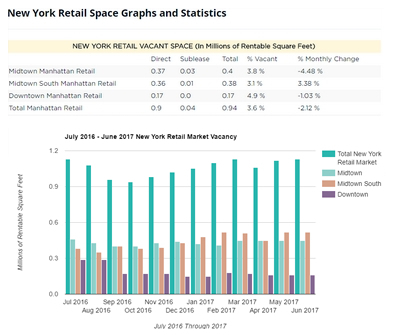 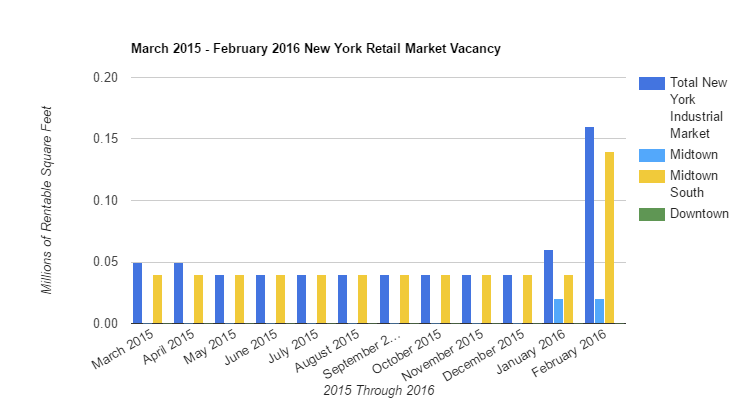 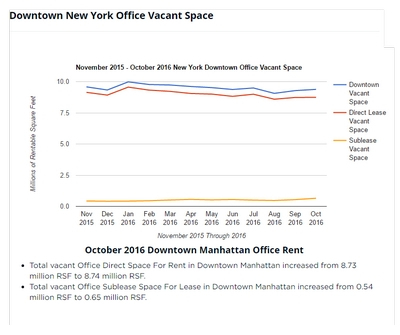 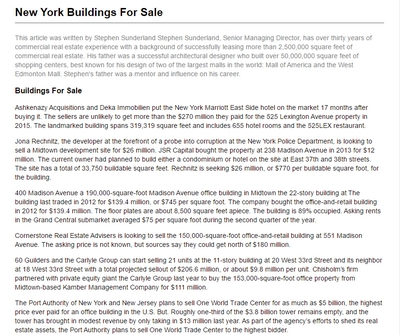 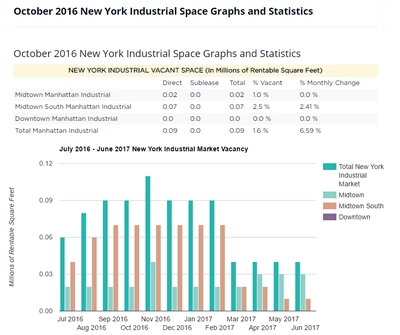 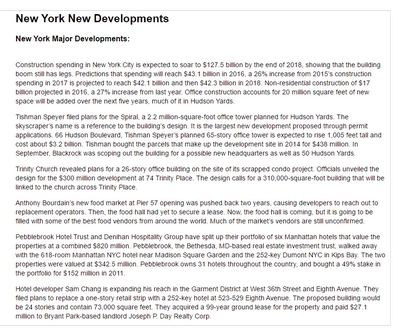 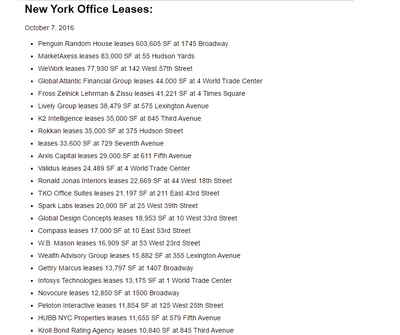 In Downtown Manhattan, Industrial vacancy stayed at 0.0 million RSF.